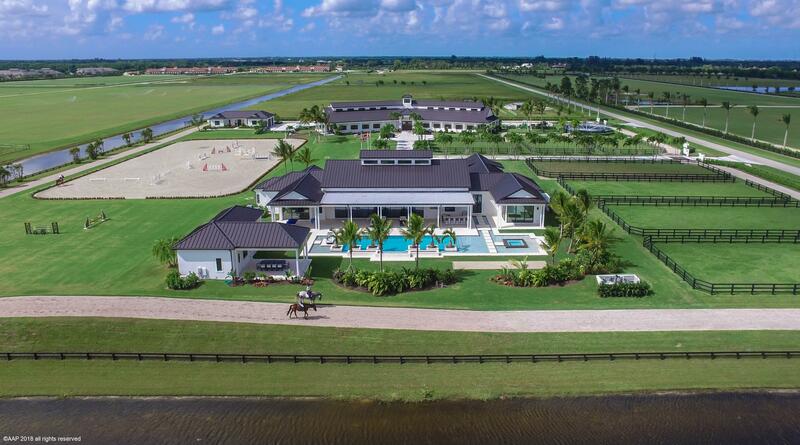 This custom built gated equestrian property in Wellington Preserve has it all! The main house is bonded lightning protected with 4 bedrooms (+ office), 4 full bathrooms and a large (41'x26') 3 car garage. All of the windows and doors are impact rated. Milano Italian doors throughout. The great room has an open beam ceiling and skylight and beautiful porcelain wood flooring throughout. House has fully automated audio, video, pool & lighting system. The spacious master bedroom has automated blinds over 10 ft glass slider walls overlooking the pool area. The master bathroom has his and hers sinks, walk in shower and outdoor shower, tub with picture windows, Toto electric toilet and bidet. The master walk in closet has safe room built ins.